Turtles are some of the most iconic animals that live in our oceans and anyone with a connection to nature cannot help but marvel at these beautiful creatures. With all seven marine turtle species listed as vulnerable, endangered or critically endangered, as a community we must come together to fight threats to their survival. Plastic pollution in particular is harming our marine life and turtles are no exception. One of the most deadly forms of plastic waste in the ocean is something most members of the public will have never heard of. I am talking about ‘ghost gear’ – or lost, abandoned and discarded fishing gear, such as nets, lines and pots. This form of plastic pollution represents floating death traps for marine animals - indeed ghost gear is designed to catch and kill. Whales, sharks, seals, turtles, and birds suffer due to entanglement, often drowning or sustaining horrific injuries in their attempts to escape. Debilitating wounds cause immense suffering, in some cases over years. It is not just the harm ghost gear causes to marine animals that should cause alarm, but the sheer scale of the ghost gear problem. A 2009 study estimated that about 640,000 tonnes of ghost gear is added to our oceans every year, but it is likely that this number is now even higher as fishing efforts intensify all over the world. This represents as much as 58% of all macro-plastics in the oceans. Ghost gear has a calamitous impact on turtles. Estimates suggest that between 5,000 and 15,000 turtles were killed between 2005 and 2014 by ghost fishing nets in Australia’s Gulf of Carpentaria, where it accumulates and remains until physically removed. Ghost gear also makes a huge contribution to the invasion of macro-plastics into fragile marine environments. Tanzanian researchers report that marine debris and macro-plastics washing ashore affects the selection of local turtle nesting sites. Beach litter forces turtles to lay their eggs below the high tide line, leaving them at risk of water inundations which drown their young hatchlings and destroy their nests. To protect the dazzling marine life on our planet, we simply cannot ignore the problem of ghost gear. In 2015, World Animal Protection established the Global Ghost Gear Initiative (GGGI), an alliance committed to solving the problem of lost and abandoned fishing gear worldwide. It now has over 73 members from the seafood industry, NGOs and governments, including the UK government. We are working together to prevent ghost gear entering the ocean and becoming a threat to marine life. World Animal Protection is also implementing projects to remove and recycle ghost gear from the ocean. In the UK, this includes projects in hotspots where ghost gear accumulates in significant volumes. In Cornwall, Fathom’s Free, a volunteer dive group, engage the public and marine community in beach cleans and retrieval dives. 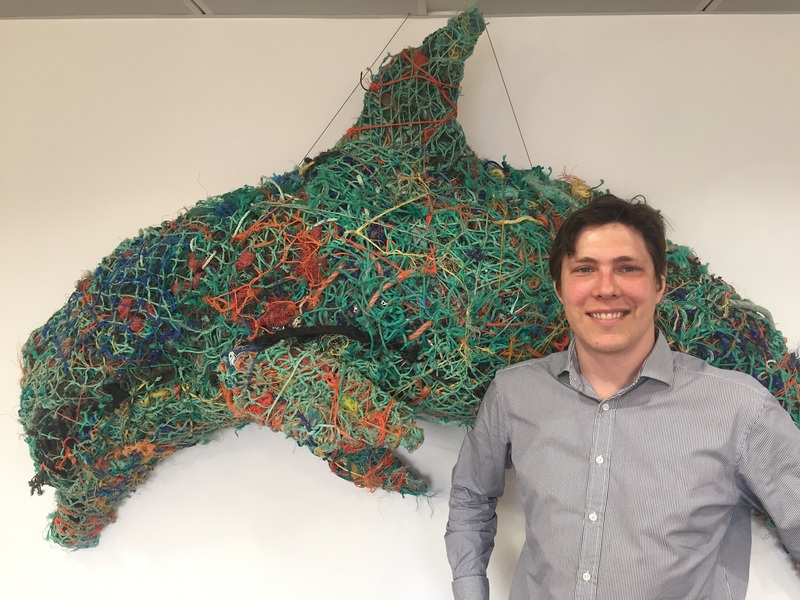 They are establishing networks with industry to stimulate innovative ways of recycling marine litter, including manufacturing kayaks from retrieved ghost gear. In Orkney, volunteer divers Ghost Fishing UK deliver a programme of ghost gear retrieval training and provide expertise in highly technical deep dive removals. Ghost gear is a global threat that requires us all to play our part in turning the tide. We encourage every organisation who cares about marine animals and the environment they live in to join the GGGI and become part of the solution.